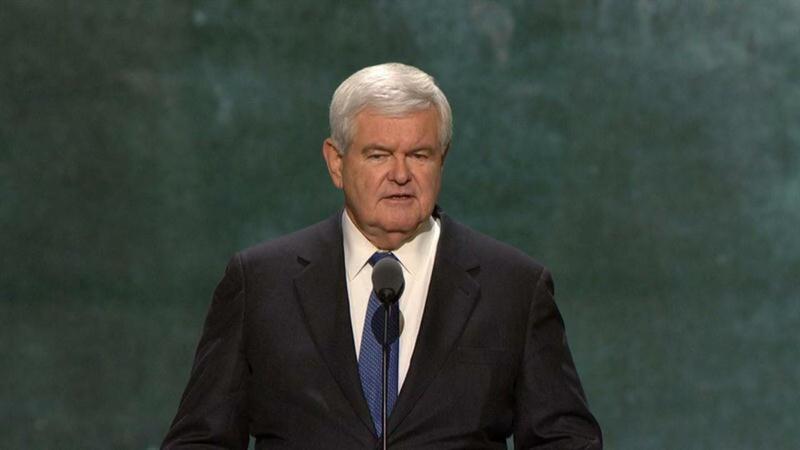 Former House Speaker Newt Gingrich characterized Donald Trump's recent campaign behavior as "very self-destructive" on Wednesday and said the Republican nominee is "still behaving" as though he is still "in the primaries." "He has not made the transition to being the potential president of the United States, which is a much tougher league," Gingrich said on Fox Business Channel's "Mornings with Maria." He added: "People are going to watch you every single day. They're going to take everything they can out of context, and he is not yet performing at the level that you need to." Gingrich, one of Trump's most ardent supporters who was once considered as a possible running mate, said Trump appeared to be going through a phase similar to Joe Montana's "stretch during his career where he kept throwing interceptions." "It's like watching a team go out on the field, throw an interception on the first play and go back off the field again," Gingrich said. Gingrich also said he was "totally for" House Speaker Paul Ryan and Arizona Sen. John McCain, both of whom Trump refused to endorse on Tuesday. "I think he has the potential to win the election. I think he has the potential to be a historic president, but to do that, he has got to grow into the size of the job and not get stuck where he has been, which frankly over the last week, I think has been very disheartening to most of his supporters," he said.